We all know from experience that the human body is not always the marvel represented by the classical ideal. In reality, it goes to fat. It leaks. It’s comical. It’s a receptacle for abuse. And no matter how life-giving, it’s mortal. 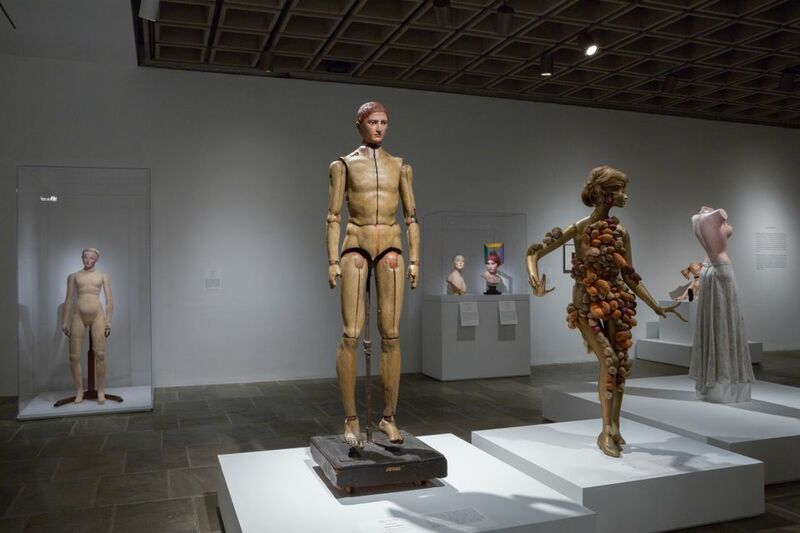 To its credit and our wonder or dismay, Like Life: Sculpture, Color and the Body at New York’s Met Breuer (until 22 July) is a scholarly yet visceral, and sometimes wrenching, confrontation with three-dimensional representations of the human figure in all its glory, grotesquerie and sensuality. The co-curators Sheena Wagstaff and Luke Syson give a nod to the ancient Greeks, then take viewers on a throat-clutching journey through the medieval Christian and the Renaissance to the rainbow-inclusive and identity-obsessed modern. As shocking as it is celebratory of race, anatomy and gender, this not the feel-good show of the year. 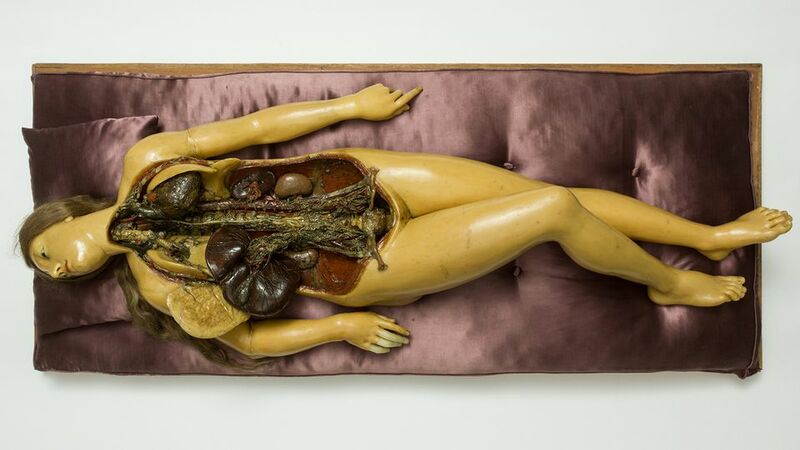 The flayed body of a 19th-century French labourer by Alphonse Lami, Nancy Grossman’s bound 1971 leatherman and the head Marc Quinn made of his own blood are the least of its depredations. At the preview, viewers registered surprise, approval and disgust. Which is kind of what we want from art. You know—everything. And everything is what we get. Try to imagine Ed Kienholz, Marisol and Picasso in the same show with Isa Genzken, Maurizio Cattelan, Elmgreen & Dragset, Juan Munoz, John Outerbridge, Sarah Lucas and Kadar Attia. A single gallery juxtaposes Jeff Koons’s Buster Keaton (1988) astride a donkey with the kind of 15th-century, parade figure of Christ that it parodies. They stand opposite Goshka Macuga’s bearded, animatronic wise man (from 2016) hollowly spouting humanistic quotations from famous speeches by thinking giants like Albert Einstein, Thomas Paine, and Martin Luther King, Jr. Brilliant. Appropriately, for our racially sensitive society, flesh tones play as prominent a role as the variegated shapes of bodies. Duane Hanson’s African-American housepainter leads to a white male mannequin displaying a dark phallus by Charles Ray and ultimately concludes with Strange Fruit (1995), the carved victim of a lynching by Alison Saar. It hangs within a morgue-like display of lifeless figures that follows several examples of the body at its most abject. I wasn’t the only one feeling grateful for the low, pinspot lighting. It’s unusual for the Met to be so unflinching instead of just educational and pleasing. Still, because children love a good scare, and adults love a selfie, Like Life should be sensational fun for the whole family.